For fans and players of Angry Birds 2, there is a big update rolling out in the Play Store for you. The update brings a lot of new features to the game and, of course, new chapters to play. When you get this update, which should come to you as an OTA update over the next day or so, you will have two new chapters to play with a total of 40 new levels within those chapters. That brings the total for the game well over 200 total levels so you have plenty of things to keep you interested. But that isn’t all for this update as you also have two new pig enemies to contend with in the game. him knocked off. The second pig has a gravity altering beam that it shoots at your flying bird which alters its trajectory. This makes you as a player take this pig into consideration as you are trying to work your way through a level. Hat collections in Angry Birds 2 has been there for a while and it is a way to accessories your birds to make them unique. In this release, you have three new sets of hats to collect. Laughing in the face of science, these hats are actually designed to keep you cool. Accessorize your birds with three new sets of lids in back-to-school, beach, and pirate themes. While the hats are a bit of fun, they don’t really impact the game play so much. If you haven’t tried out the game, it is free in the Play Store. 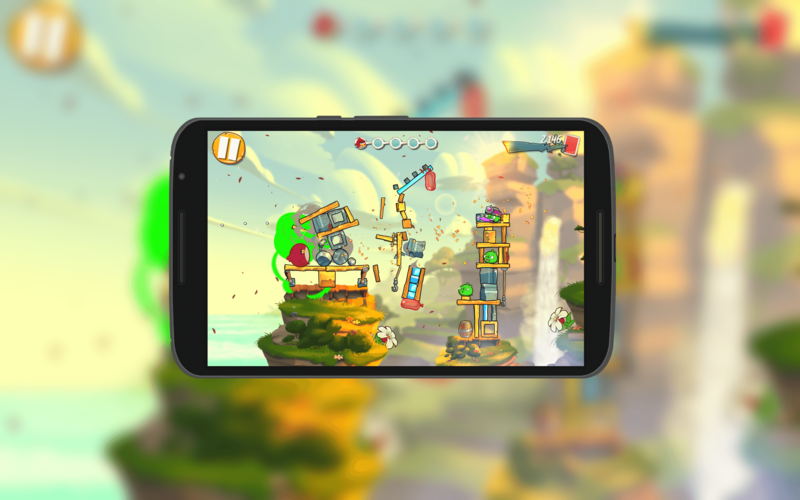 It is a freemium model like most games but Rovio, the developer of the game, has made it very easy to advance deep into the game without spending any real cash if you are patient.